Waterfront Valuation- This is Only Complete Business and Real Estate Services Website offering services in the marketing and sales of waterfront properties across Ontario. Working together through strategic alliances with waterfront Realtors®, we combine our numerous resources to ensure the best possible result for your family, for selling your cottage, waterfront home or lands. We utilize the talents and expertise of premier brokerages and representatives from across Ontario. No other service matches our breadth of coverage completely across the best of Ontario's cottage country. Find out The Value of Your Property! 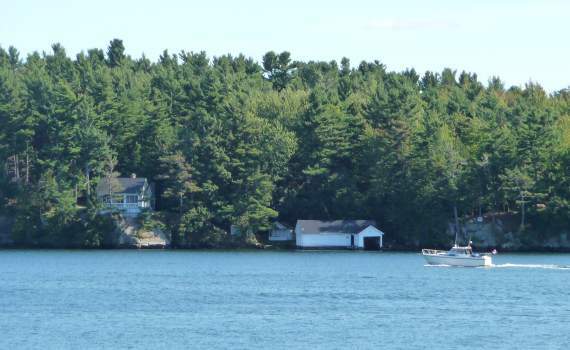 Knowing what your waterfront home or cottage is worth is important information to have. Using the information you submit to us in the form below, we will conduct a thorough comparative market analysis by searching the database of all waterfront homes listed or sold in your area. With this current market data, we will be able to determine what a waterfront valuation that your property might sell for if you decided to put it on the market. Please note, we can provide a better service with more information. You are being provided with similar access that real estate professionals receive. We must validate your information because of the confidential and private information you will have access to. This is a no cost, no obligation service. Your information is held in the strictest confidence and will never be sold or given away,however you acknowledge and agree that we may refer you to a professional in your properties geographic location.